If you just got yourself a new set of wheels, you'll probably want to take a look at West Coast hex drive lug nut kits. Lug nut kits are often the most overlooked accessory for truck owners with new wheels and one of the most important. Don't make that mistake. The lug seat inside your wheel is specifically shaped to seat your lug nuts with the most surface contact possible, and this is important because most aftermarket wheels have a different lug seat that factory wheels. Using the wrong style lug nut will not give you a proper seat and could cause your wheels to come loose, or worse, potentially causing damage to your wheels, vehicle and yourself. Keep your new wheels, your vehicle, and yourself safe with a new set of West Coad hex drive lug nut kits from RealTruck. 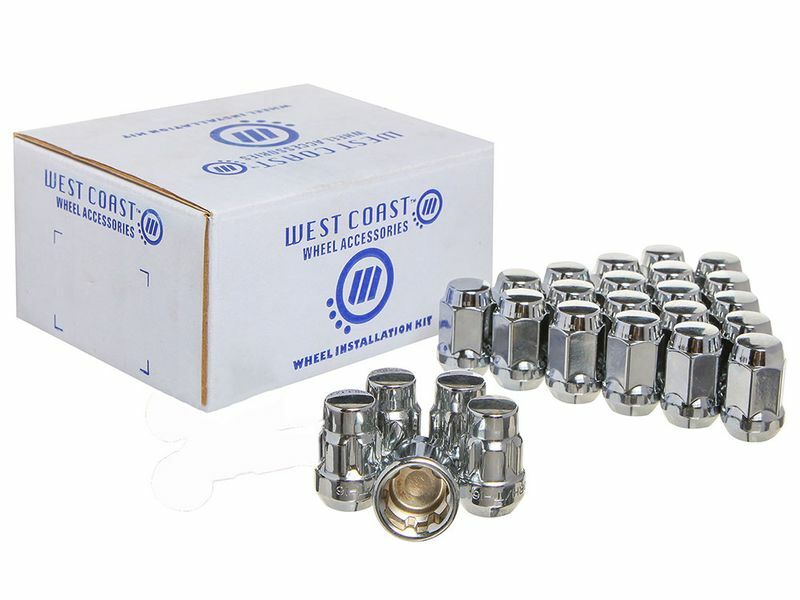 West Coast Wheel Accessories backs their hex drive lug nut kits with a one year limited warranty. Installation is as easy as changing a tire. If you have any questions, don't hesitate to give us a call.